As a lot of our website visitors are already aware, regularly drinking Prune Juice has a lot of health benefits. Prune juice is made out of distilled dried plums, which when processed release a rich dark purple liquid full of essential vitamins and minerals. Our site features articles that explore the specific health benefits contained within this beverage, as well as it's natural laxative properties that are commonly used to treat constipation. 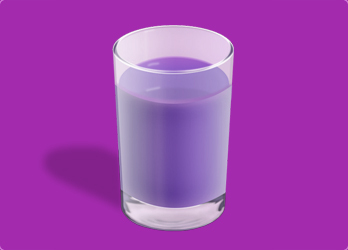 In addition to information about prune juice, we also host many prune juice based creations, such as a Prune Juice Smoothie, Prune Juice Cocktail, Prune Juice Marinade, Prune Butter Cocktail, Warm Prune Juice, and many others. If you have a prune juice based recipe that you would like to share with our site visitors, please feel free to submit it to us by email. We would like to take this time to thank you all for visiting our website. We really hope that you find our prune based recipes and informational articles fun and interesting. This prune juice marinade is a Chinese recipe used primarily with pork tenderloin. To begin the recipe you should first take out a small sealable mixing bowl. Add into the bowl the prune juice, soy sauce, extra virgin olive oil, fresh squeezed lemon juice, garlic powder, tomato ketchup, and white sugar. Using a metal whisk, rapidly stir these ingredients together until you have a smooth and even marinade, and all of the sugar granulates have fully dissolved. At this point you are ready to add in your meat. In addition to tasting wonderful with pork, it also tastes great with chicken, beef, venison, and turkey. Do also keep in mind that the recipe is quite flexible, so you can alter with the ingredients and proportions to adjust it to your own personal taste preferences. We hope you liked this. This warm prune juice recipe is similar to Russian tea, and is absolutely delicious. To begin you will first need to take out a heavy cooking pot. Add into the pot the prune juice, orange juice, pineapple juice, lemon juice, cinnamon sticks, and whole cloves. Bring these contents to a boil over medium heat, stirring often. Once the liquid has reached a boil, back the heat off to low, then add in the white sugar, stirring it until it completely dissolves. Cover the pot with a lid, and let it simmer for about twenty minutes, which will give the brew enough time to soak up the cinnamon and clove flavor notes. Serve the beverage warm in coffee mugs. This tasty recipe is flexible, so please feel free to make any changes to it where you see necessary. Don't forget to bookmark our website, as we plan to add many more yummy recipes in the near future. This very unique prune juice cocktail recipe was given to me by a friend, and I must say it was absolutely delightful. To begin you will first need to take out a cocktail shaker. Next add into the shaker the prune juice, spiced rum, pineapple juice, apple juice, grapefruit juice, and crushed ice. Shake the contents together until the cocktail is evenly mixed. Once you're done mixing, pour the cocktail into a Collins glass. As an optional garnish, place a freshly cut pineapple wedge on the rim of the glass. The cocktail can be sipped, or consumed through a narrow straw. If you're not a fan of spiced rum, you can substitute it with white rum, vodka, or even tequila. The cocktail is fairly versatile, so feel free to play around with the ingredients. Thank you for visiting our website, please don't forget to bookmark us, as we always add new content. This ugly bug cocktail recipe is a variation of a recipe I came across many years ago. To start the recipe, please take out a cocktail shaker. Add into the vessel the organic prune juice, light rum, pineapple juice, unfiltered apple juice, and crushed ice. Shake the contents together until the drink is completely blended. Pour the cold finished creation into a Collins glass garnished with a single maraschino cherry. The cocktail can be sipped or consumed through a proper cocktail straw. With regard to the apple juice, do try and use an unfiltered blend as it adds so much more life to the drink than regular apple juice. If you're not a fan of rum, try this same drink out with vodka. We would like to thank you for visiting our website. Don't forget to add us to your favorites list, so that you can visit our website again in the future for newly added recipes. This is a very nutritious and delicious prune juice smoothie recipe that I came up with recently. To get the recipe started, please take out your electric blender and plug it in. Add into the blender one cup of prune juice, the whole sliced banana, organic rolled oats, vanilla yogurt, and lemon juice. Blend these ingredients together on a very fast pulse rate, turning off the machine only after all of the ingredients are pureed. Next add in the remaining two cups of prune juice, again turn your blender on to a fast pulse rate, and blend the smoothie until it's evenly mixed together. Serve the beverage in a tall highball glass, garnished with a single fresh mint leaf. That concludes this healthy smoothie recipe. For other prune juice based recipes, be sure to browse around our site some more.